If you like biking, look no further than Citi Bike. The company hosts the nation’s largest bike share program. Citi Bike currently has over 10,000 bikes and 600 stations spread throughout Manhattan, Queens, Brooklyn, and Jersey City. All you have to do is join Citi Bike via its app. After you become a Citi Bike member, all you have to do is find an available bike, get a ride code or use your unique member key to unlock it. Available bikes can be found on CitiBike.com. Ride to your destination or enjoy a bike ride and then return your bike to any station. Wait for the light on the dock to turn green, your bike is locked, and you’re good to go. 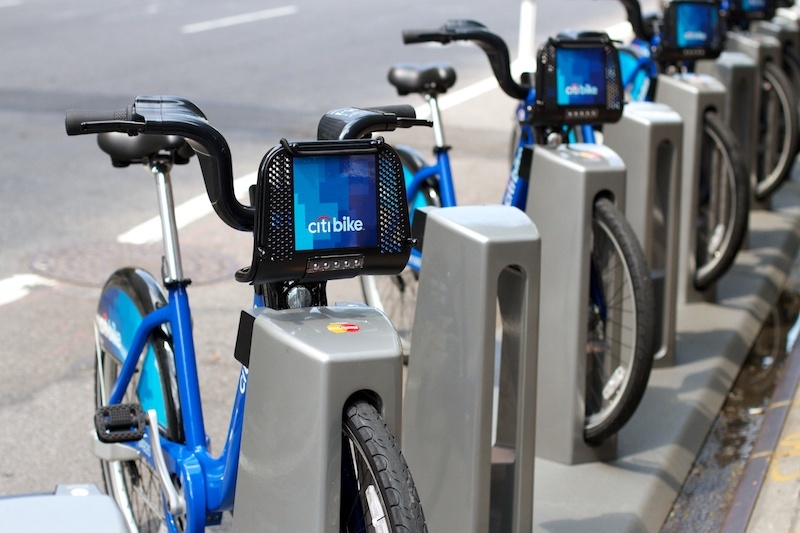 Currently, Citi Bike has three main plans to pick between to rides its bikes. You can purchase a Day pass for $12. The pass includes unlimited 30-minute rides in a 24-hour period. Alternatively, you can get a 3-Day pass for $24. It covers unlimited 30-minute rides in a 72-hour period. Meanwhile, for $163 a year, you can enjoy unlimited 45-minute rides. If this is a large sum to cough up at once, you can lock into Citi Bike’s annual commitment and pay $14.95 a month. Just in case those options are not enough for you, Citi Bike also has special rates for Citi cardholders, Oxford members, corporate partners For more plan details, please visit CitiBikeNYC.com.